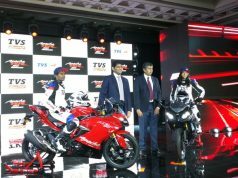 There is a long list of power commuters, but the first genuine sport oriented everyday sport was always the TVS Apache 160. 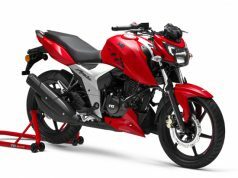 I remember the day back in 2008 when a good friend of mine was about to purchase a Bajaj Pulsar 180. He, as usual, called me for advice and I immediately pointed him to a TVS showroom for test riding an Apache. Lo and behold, he purchased it right away. 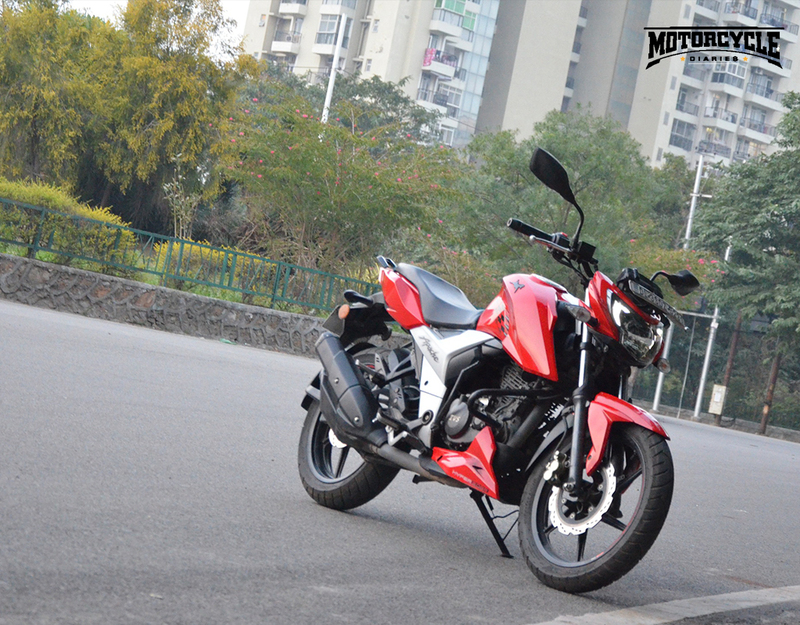 It had the necessary eagerness of a powerful street machine and efficiency easy to be handled by a college student. Since then Apache series has gone through a lot of transformation but the basic recipe always remained the same. 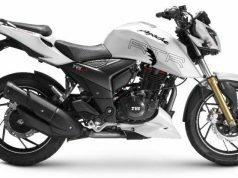 This newest iteration, TVS Apache RTR 160 4V, is a clear winner in my mind in its segment. Others might look more dramatic or have more power, but this little 160 will teach you much more than just carry you around. 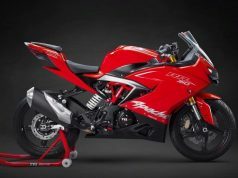 How is the new design language on TVS Apache RTR 160 4V? As I said its basic nature remains the same, true to its sporty character with an aggressive street stance without losing even an ounce of practicality. 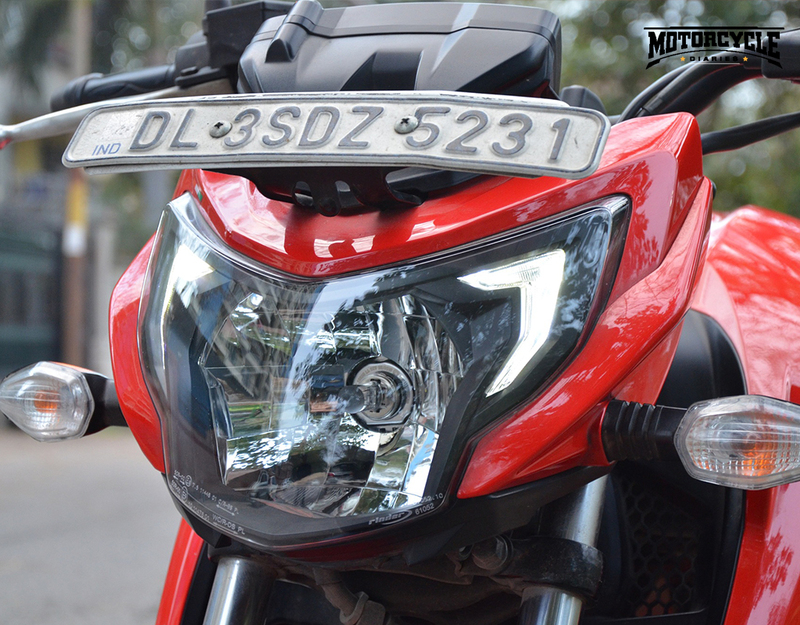 Look at those sharp DRL LEDs in the headlight, racy tank shrouds, that off-set fuel filler with a horse TVS logo. 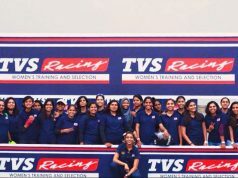 All of these point to its true racing development. 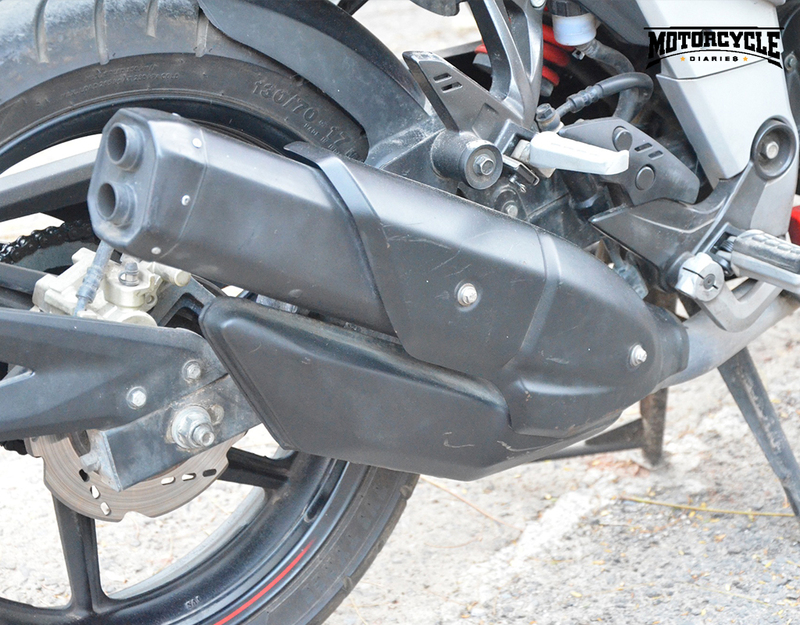 The dual split exhaust looks the part and sounds good too. The new full digital meter console though does feel lacking that large analogue rpm gauge. Call me old school but it did look rather excellent. The new one is very informative and crisp to read, is uninteresting though. 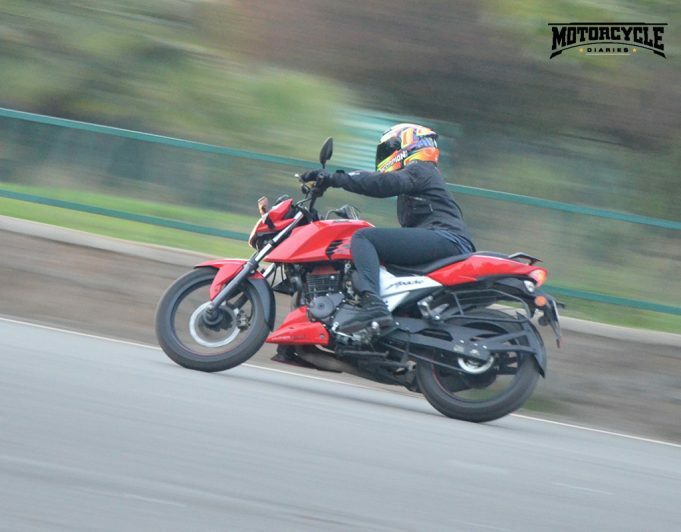 Is TVS Apache RTR 160 4V too sporty to sit on? Not anymore. 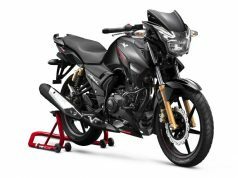 If you remember the previous machine’s, or the bigger RTR 200, clip-on setup you might contest the slouching back thingy but it has changed. 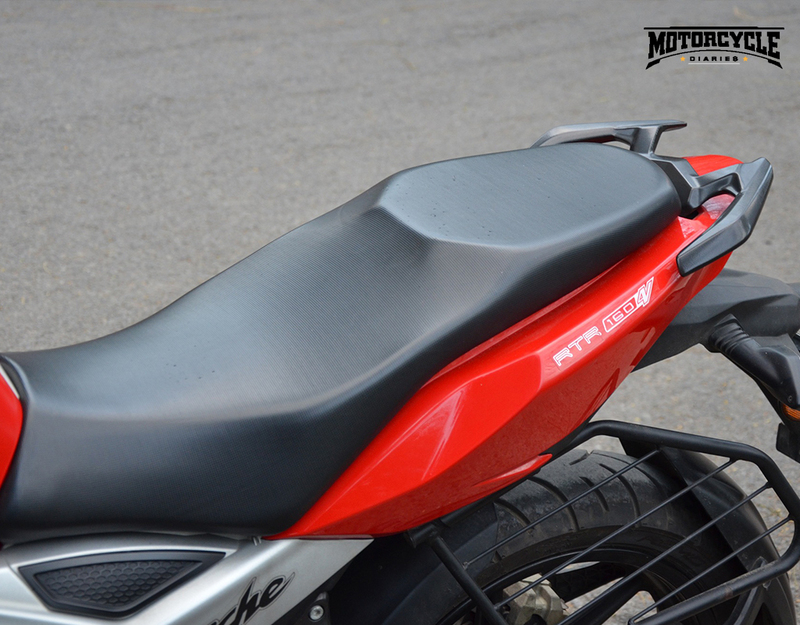 The single-piece handlebar is better suited for everyday use with medium-soft seat cushioning. It’s somewhat like the previous RTR version, good comfort for the front passenger but less area for the rear passenger. Seat height is set at 800mm which is slightly higher but manageable by most. 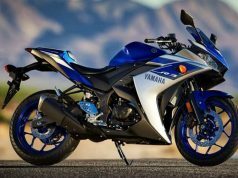 Best of all is the fit and finish on the entire motorcycle. 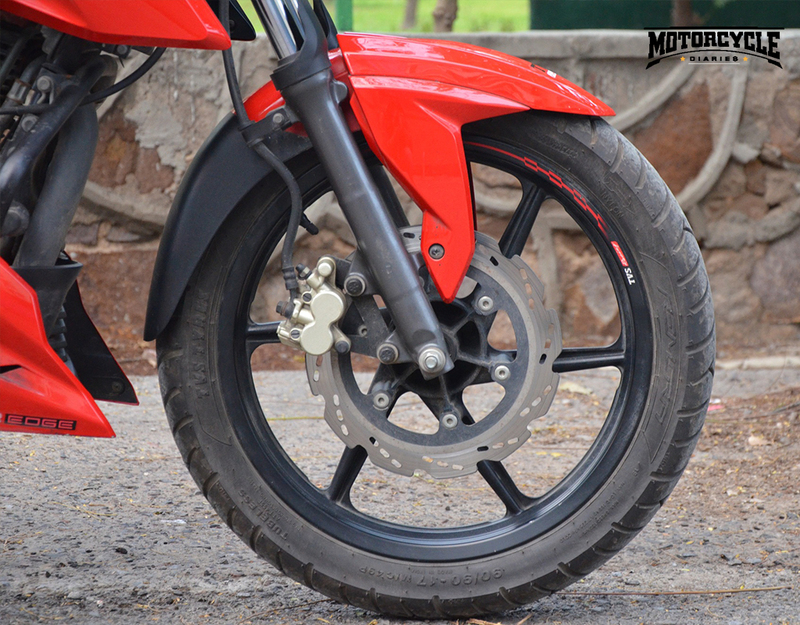 The paint finish, panel fittings and plastics are just excellent on the TVS Apache RTR 160 4V. The front and rear discs on this test bike are built so well that they become integral to its design. Clue, do not avoid the rear disc unless you cannot help it! 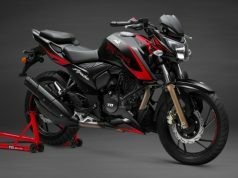 How is the engine performance on TVS Apache RTR 160 4V? This little engine has always made riders, be it commuters, racy youngsters or office commuters, sing joyous praises. Everybody always mentioned the ‘fun’ quotient, whether they liked the design or not. This reminds me that old RTR used to vibrate to its core under extreme acceleration, I mean even the rpm needle trembled after 10k revs. But the new 4 valve engine fixes that with ease. It is much smoother and calmer than earlier. 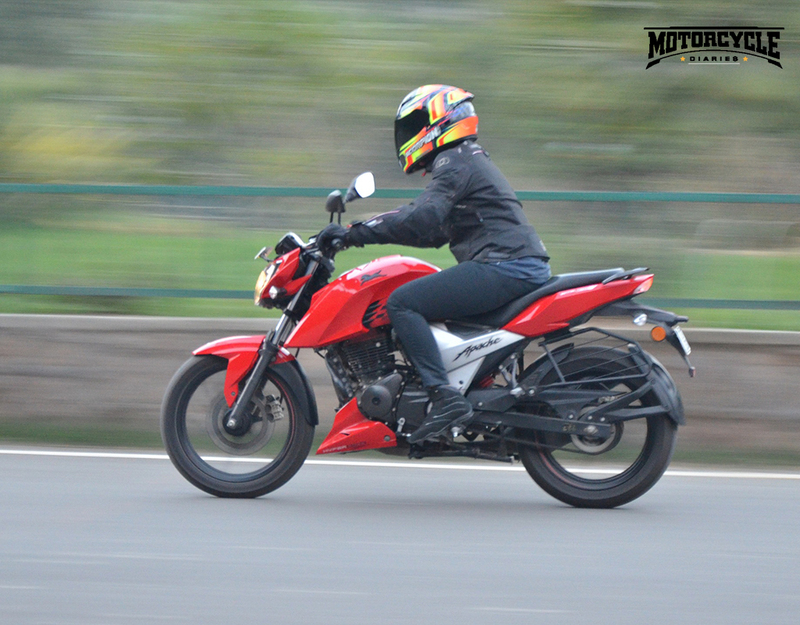 It feels stronger with its 16.2bhp output, fuel injected variant makes a smidgen higher 16.5bhp. 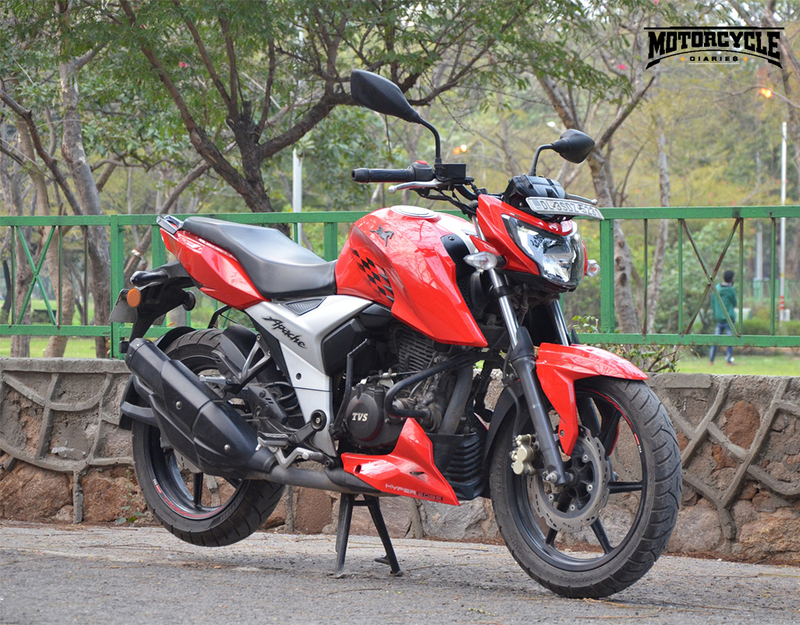 The delivery is lively and you feel the strong pull of this race-derived 159.7cc single-cylinder engine. It does have an oil cooler to help cool things along, it definitely doesn’t roast you even a little. The engine just feels a lot accomplished against all others around you on a red light. 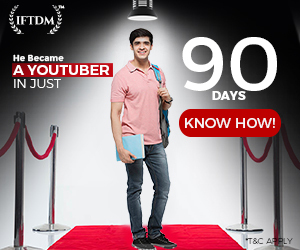 It launches smoothly without feeling a tiny bit tired even if you’ve used it all day. The exhaust note is throaty too making it an enjoyable experience. It keeps you engaged and entertained throughout either your commute or your travels. 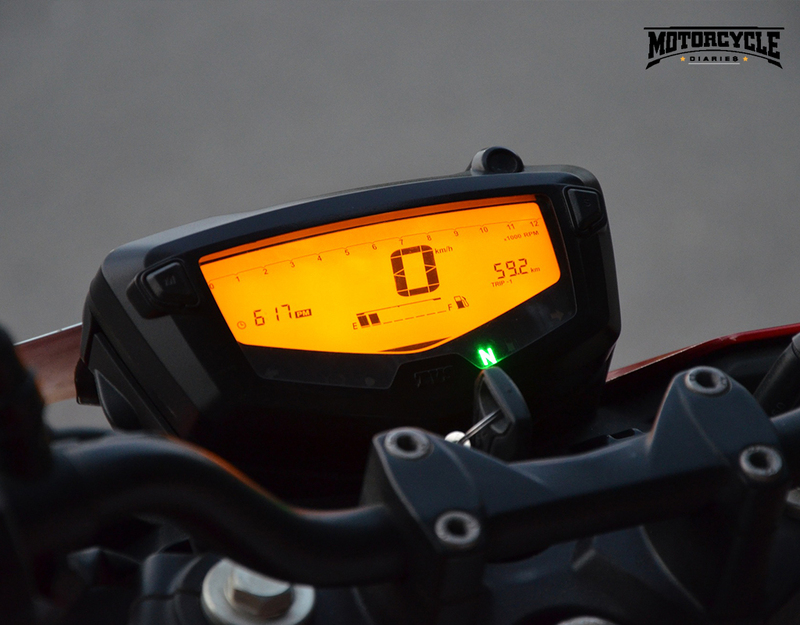 What do you mean race-derived handling on TVS Apache RTR 160 4V? Well, it means exactly what the inner child inside you is anticipating. It has stiffer shocks and a Showa mono-shock setup for maximum attack. Sharp as hell and agile like a fly. All that race learning has gone to make this one a confident handler which holds its precise lines through high-speed corners. Even mid-corner bumps are dealt with ease giving you time to correct your lines. 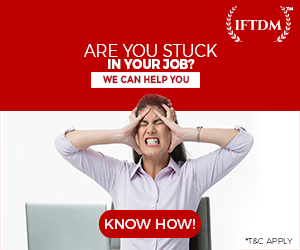 But all of that excitement aside, it won’t break your back on your everyday commute. 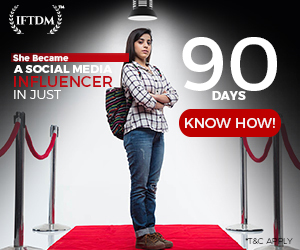 I went to office through major Delhi/NCR congestions, bought groceries from an even more congested ‘sabji mandi’ and was leaning low on those early morning wake up rides. Generally, I take a Ninja 250R to work every day, meaning small power spread across a huge rpm band, this little 160 is nearly identical. It’s fast yet friendly for you to make cockups. 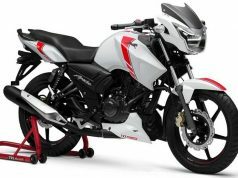 Should I rate TVS Apache RTR 160 4V as the best 160 motorcycle? Jeez, that is a tough one. 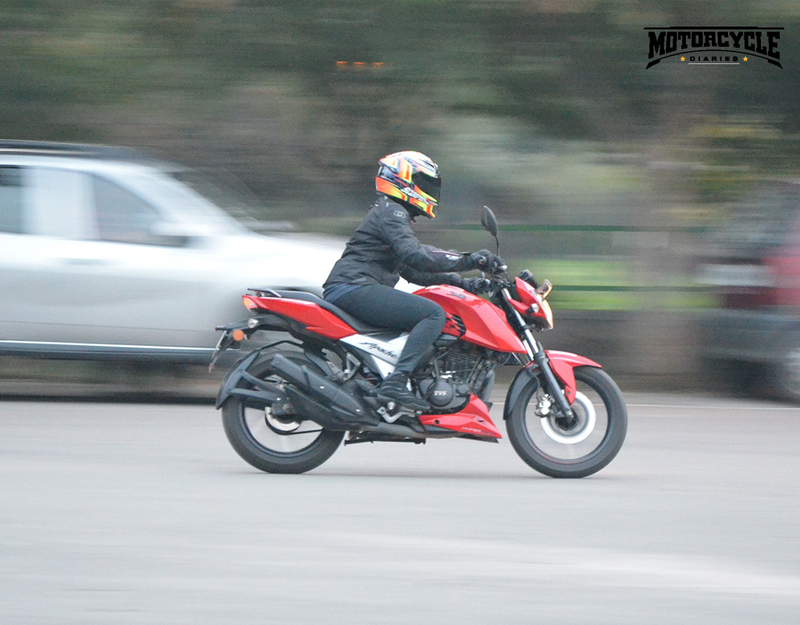 Think of it, Suzuki Gixxer, Yamaha FZ-S, Hero Xtreme 200R, Bajaj NS 160, and the list goes on and on. 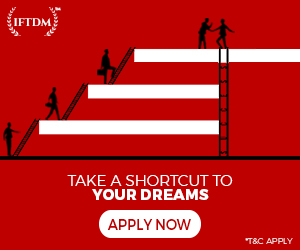 It is such a difficult decision picking one yet so exciting to see so many great options. 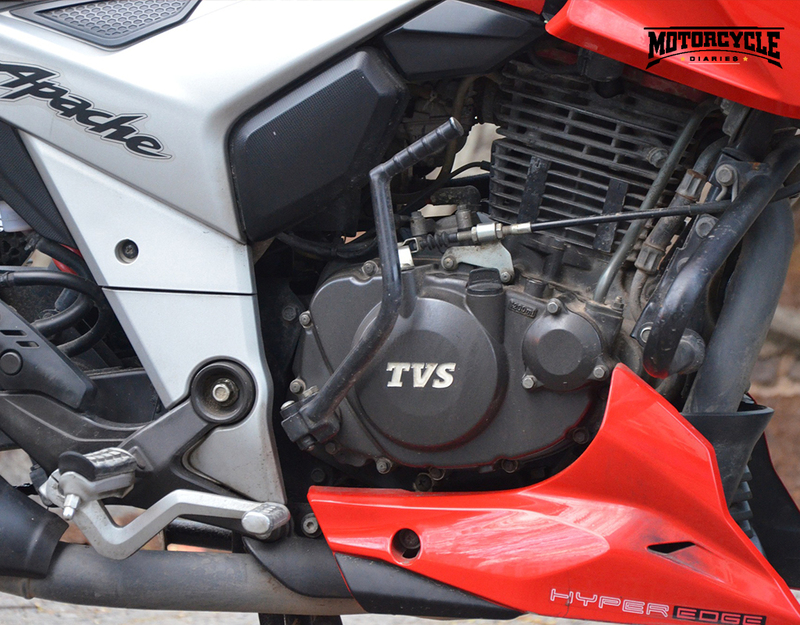 But personally, I’ll rate TVS Apache RTR 160 4V as the overall package that you’ll ever need. I’ve ridden it hard, slow, and smooth through a variety of situations and the fuel efficiency figure did not fall below 42kmpl for sure. 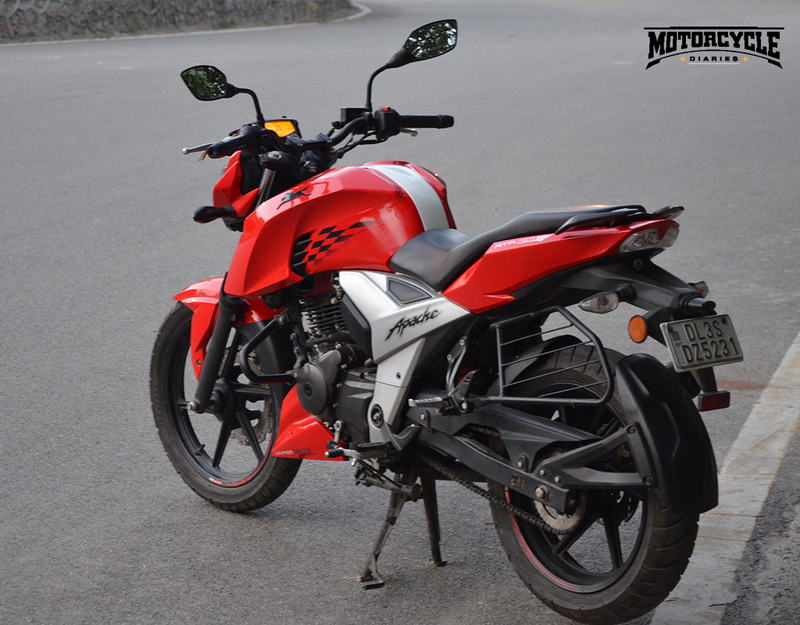 It handles city rides and highway runs with a lot of confidence being just a 160. And the fit and finish shows how TVS has spared no attention to quality on this thing. Go ahead and pick one if you want a quick efficient machine that’ll you entertained every day of the week, and some more on the weekend.